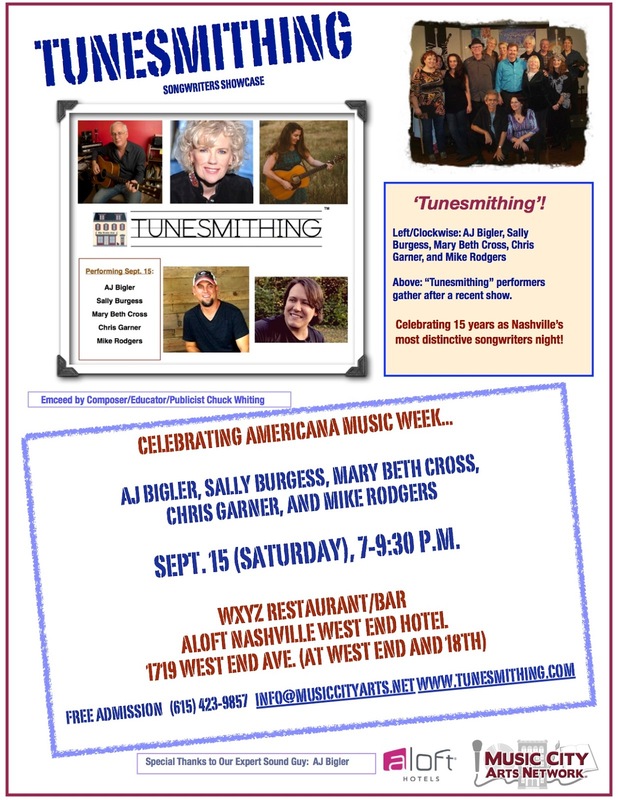 NASHVILLE, Tenn. (September 2018) -- Five Nashville songwriting acts will take the stage on Sept. 15 (Saturday) during Americana music week at "Tunesmithing," a monthly songwriters show at WXYZ Restaurant/Bar at the Aloft Nashville West End Hotel, 1719 West End Ave.
Attendees will enjoy original songs and instrumentals by AJ Bigler, Sally Burgess, Mary Beth Cross, Chris Garner, and Mike Rodgers. Admission is free. Food and beverages will be available for purchase. Nashville composer-educator-publicist Chuck Whiting will emcee the show. 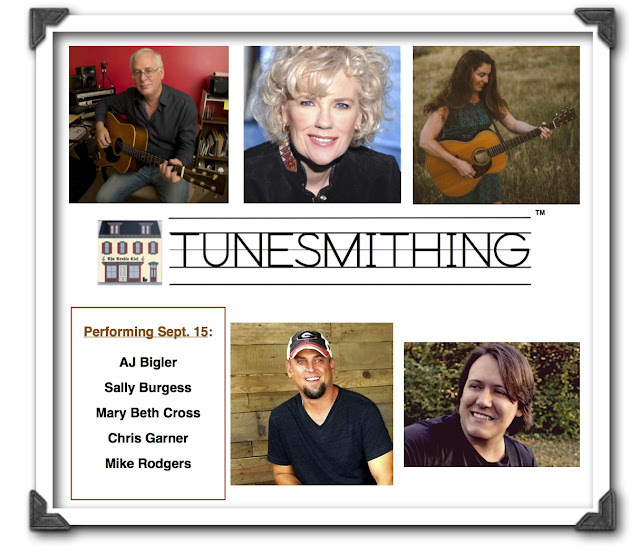 Songwriter/audio engineer AJ Bigler will handle sound.